A new study presented at the 256th National Meeting & Exposition of the American Chemical Society (ACS), finds that the consumption of less than a cupful of strawberries per day can help in mitigating colitis, colonic inflammation and improve gut health. Inflammatory bowel disease (IBD) is a set of painful conditions that can cause severe diarrhoea and fatigue. Treatments can include medications and surgery. Hang Xiao, University of Massachusetts, Amherst, and colleagues conducted the study to the protective effects of dietary intake of the whole strawberry (WS) against dextran sulfate sodium (DSS)-induced colitis in mice. 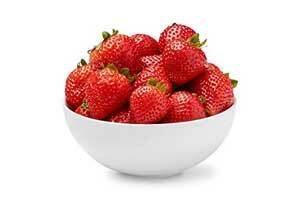 Strawberry (Fragaria Chiloensis) is a major edible berry with various potential health benefits. However, the detailed mechanistic information on the biological effects of strawberry is lacking, which greatly limited its utilization for health-promotion. For the study, the research team randomly assigned sixty male CD-1 mice to three noncolitic groups and three colitic groups. Colitis was induced by 4 cycles of DSS (1.5% in the drinking water) treatments (4 days/cycle, with a 7-day recovery period after each of first three DSS cycles), while noncolitic mice were treated with regular drinking water. Both colitic and noncolitic mice were given AIN93G diet with or without 2.5% or 5.0% (w/w) freeze-dried WS. Dietary WS (at a dose equivalent to as low as three-quarters of a cup of strawberries per day in humans) reduced the disease activity index, prevented the colon shortening and spleen enlargement, and alleviated the histological damages on colonic tissues in the colitic mice. The abundance of pro-inflammatory immune cells was reduced by dietary WS in the colonic mucosa, which was accompanied by the suppression of abnormal overproduction of proinflammatory cytokines such as TNF-α, IL-1β, and IFN-γ in the colon of the colonic mice. Western blotting and immunohistochemical analysis revealed that dietary WS decreased the expression levels of pro-inflammatory proteins in the colonic mucosa. Dietary WS partially reversed DSS-induced alteration of gut microbiota in the colitic mice by increasing the abundance of Lactobacillus and Bifidobacterium and decreasing the abundance of Akkermansia and Dorea. Dietary WS also restored the decreased production of short chain fatty acids in the cecum of the colitic mice. The changes in the gut microbiota induced by dietary WS were closely correlated with its effects on proinflammatory cytokines and SCFAs. “Our results demonstrated the protective effect of dietary WS against the development of colonic inflammation in the DSS-treated mice. This protective effect was closely associated with restoration of immune homeostasis by dietary WS, and its ability to alleviate the dysbiosis of gut microbiota in the colitic mice,” concluded the authors.